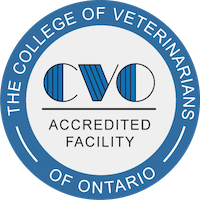 After-hours care is capably provided at either of the two veterinary Emergency Clinics located in Toronto. Before your pet is discharged from the emergency clinic, we are contacted to go over the details of your pet’s care. In Case of an Emergency, phone ahead if you can, then proceed directly to our facility.